OsteoBridge™ IDSF is a modular diaphyseal implant used for long term stabilization of segmental bone defects in humerus, femur and tibia of oncology patients. The modular endoprosthesis spacer consists of a spacer(s), that fixates two intramedullary nails and bridges the defect after resection. 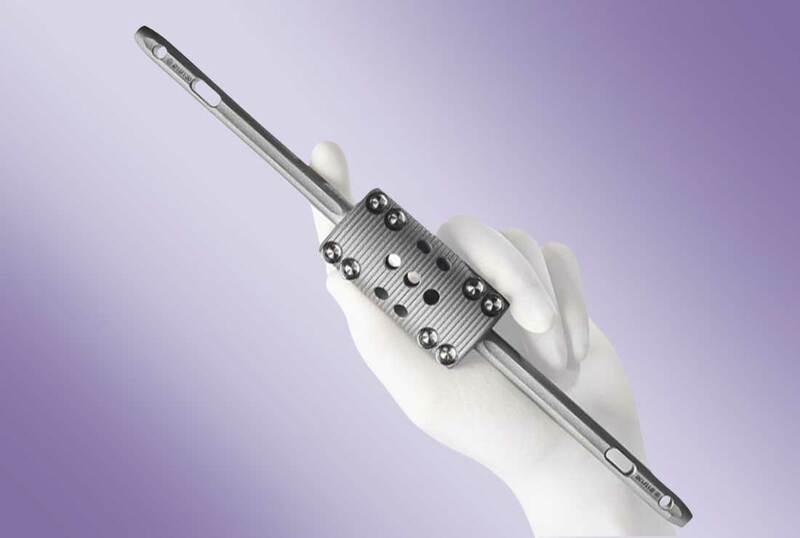 The modular OsteoBridge™ IDSF endoprosthesis consists of two semi-circular shells assembled and fixated with eight screws over two intramedullary nails that extend past the osteotomy planes and into a spacer. The intramedullary nails can additionally be interlocked distally. The spacers and the nails are available in different dimensions for flexibility across defect sizes from 40 to 140 mm. The outer spacer diameters are 20 mm (humerus), 25 mm (tibia) and 34 mm (femur). Spacers are available in lengths of 40 mm, 50 mm, 60 mm and 70 mm. If a longer defect is to be bridged, two or more spacers may to be combined with spacer connectors. Intramedullary nails are available in lengths from 60 mm through 200 mm and in diameters from 7 mm through 20 mm. High modularity for optimal adaptation to the bone. A force fit between nail and spacer facilitates continuous intra-operative rotation until the screws are tightened down. Subsequently, rotational stability is preserved post-operatively. For the management of segmental diaphyseal bone loss of either humerus, tibia or femur in oncology patients secondary to radical bone loss and/or resection due to tumors. 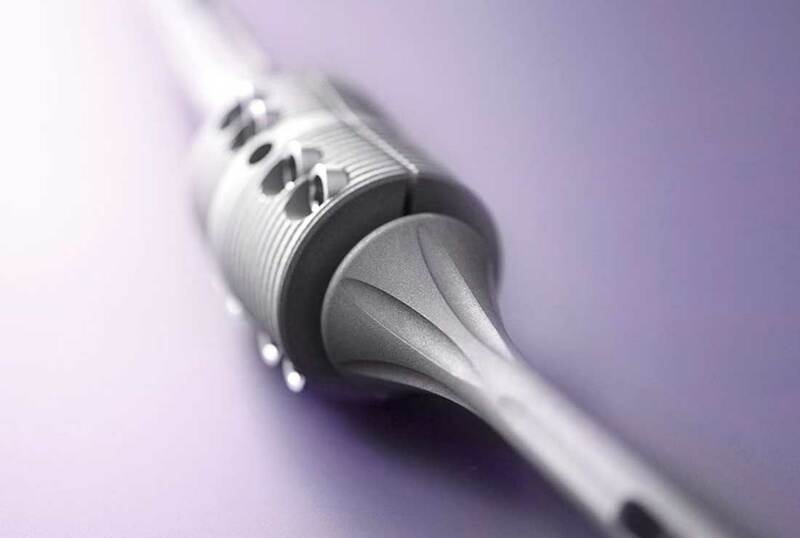 The intramedullary rods can be fixed with interlocking screw without or with bone cement.